Walls will enliven, if you mount this breath-taking Buddha wall decor. 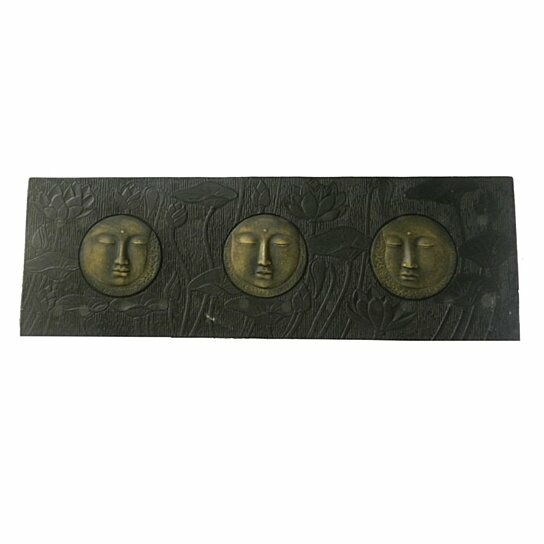 On a black frame with beautiful floral work, there are three Buddha faces in antique bronze. Each face defines compassion with total empathy. Fix it on a plain wall in the living room, guest room or entryway. If you have prayer room, you can fix this decor on one of the walls there. The beauty of this decor is unbeatable. In addition, it will very soon become everyone?s favorite.